Natural Nail Base Coat - OPI is an Opi protective base to promote a long-lasting manicure. This formula was specifically enriched to prevent staining of natural nails. Increases the lacquer wear and offers long lasting results. Helps strengthen nail plate. 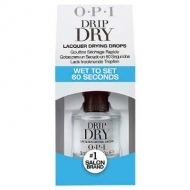 The perfect base for the Opi lacquer application. Apply to nail under your nail polish.